Ekwoge Enang Abwe grew up in a rural village in Cameroon where his passion for great apes and especially chimpanzees was born. 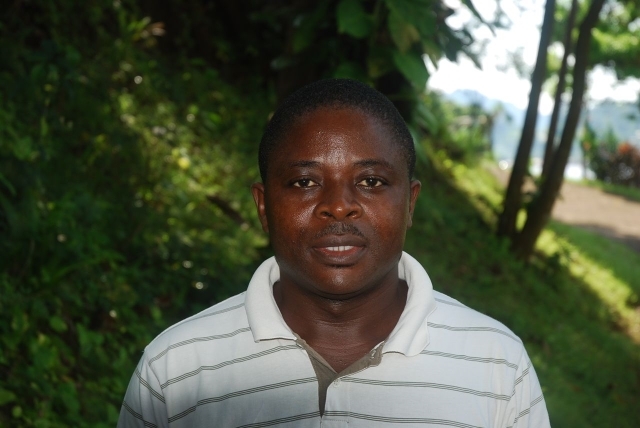 Ekwoge has played a pivotal role in conservation research work in the South Western Cameroon for almost a decade and, since 2010, he has been managing the Ebo Forest Research Project, encouraging local communities to take pride in the forest’s unique biodiversity. The Ebo forest is one of the largest remaining tracts in the Gulf of Guinea biodiversity hotspot. Covering almost 2,000 square kilometres, it is home to a unique mix of 11 diurnal primate species including a small population of gorillas and a significant population of the Nigeria-Cameroon chimpanzee, the most endangered of the chimpanzee subspecies. These amazing chimps have a unique repertoire of tool use. In addition, the forest harbours the charismatic drill, Critically Endangered Preuss’s red colobus as well as many species of guenons. Forest elephants and several species of duikers still abound in the forest, which is also home to many other species including the spectacular Goliath frog, the largest frog in the world. Surrounding the Ebo forest are 19 villages that depend on subsistence agriculture and especially hunting and bushmeat trade for food and income – a trade driven by the forest’s close proximity to large urban centres with a high demand for bushmeat products. While the Cameroon government sees the potential of declaring the Ebo Forest a National Park focussing on conservation research and tourism potential, plans by the world’s largest oil palm producer to open a plantation on the western margins of the forest poses a serious new threat. 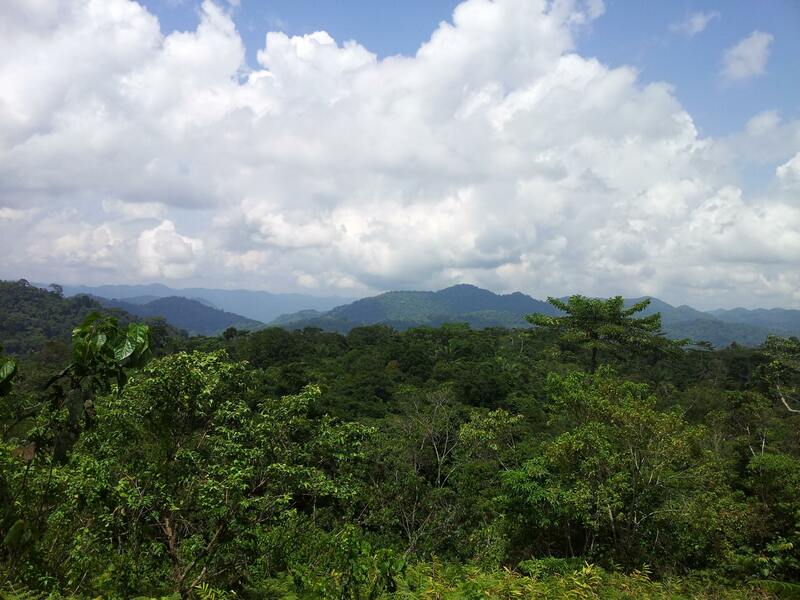 Since 2005, the Ebo Forest Research Project has been carrying out biological research from permanently manned research stations across the forest. 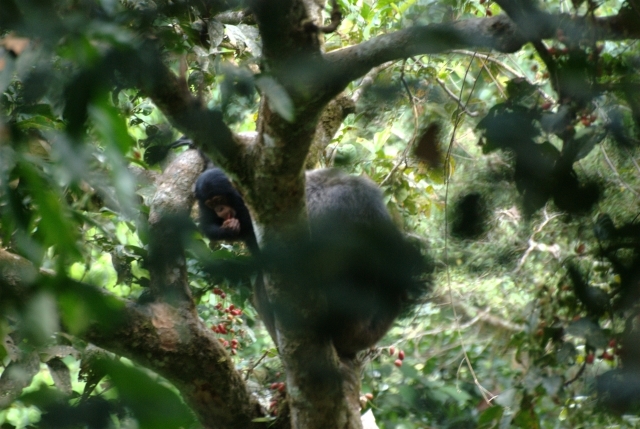 The project is also engaged in regular contact with communities through formal and informal environmental and conservation education and more recently a community-led gorilla conservation initiative (Club des Amis des Gorilles), with the goal of securing a safe future for chimpanzees, gorillas and other endangered species of the Ebo forest. Encourage local people to participate in conservation activities and raise awareness. Monitor chimpanzees, gorillas and other endangered mammals in the forest. Support the transition of Ebo Forest into a National Park. There are thought to be fewer than 25 Ebo gorillas left in the wild. A biodiversity hotspot, Ebo Forest is considered an “exceptional priority site” for Nigeria-Cameroon chimpanzee conservation. Up to 300 football fields of forest are cleared every hour for palm oil.